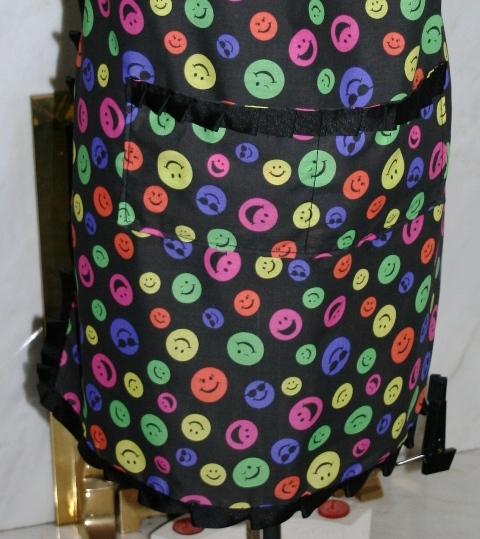 A fun, hand made, cotton apron, in a black base with multi coloured smiley faces on it. Made in a lightweight cotton, it is easy and fun, to wear. It has a large front pocket, back waist ties, neck ties and has edging details of black crossgrain ribbon. It will fit sizes medium to large.